Andria Disney, Ed.D., is an assistant professor of P-5 curriculum and P-5 teaching mathematics in the Department of Teaching and Learning. Disney joins Georgia Southern from the University of Montana where she taught while earning her doctorate in curriculum and instruction. Prior to working in higher education, Disney taught mathematics in public schools in Arizona as well as served as an instructional coach and lead elementary specialist for the last three years of her public school career. Her research interests include facilitating teacher learning to bring about mathematics instructional change to engage diverse learners. Karin Fisher, Ph.D., is an assistant professor of special education in the Department of Teaching and Learning. A recent graduate of the University of Central Florida, Fisher holds a doctorate in exceptional student education. Fisher worked with the Department of Children, Family, and Consumer Sciences at Central Florida for three years where she served as both a graduate research assistant and adjunct professor. She also worked for six years at Lyman High School in Longwood, FL as a teacher of students with moderate intellectual disabilities. Fisher’s research interests focus on increasing participation of students with disabilities in extracurricular STEM activities. Amanda Glaze, Ph.D., is an assistant professor of middle grades and secondary science education for the Department of Teaching and Learning. Glaze is an alumna of the University of Alabama where she earned a doctorate in science education and biological/physical sciences. Her research interests include evolution education, religiosity, cultural diversity, and acceptance and rejection of evolution specifically in the southeastern United States. Prior to coming to Georgia Southern, Glaze served as a science teacher and specialist within public schools in Alabama and Georgia as well as an instructor at Jacksonville State University and Texas A & M University-Commerce. 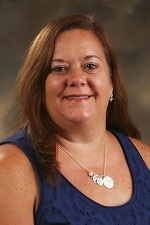 Julie Pickens, Ph.D., is an instructor of special education courses in the Department of Teaching and Learning. Pickens joins the COE from the University of Illinois where she earned a doctorate in special education as well as served as the community and school liaison (2014-2015) and group manager (2012-2014) for the Ben’s Bells Project. Her research interests include transitioning of students with disabilities to post-secondary settings, community-based instruction, inter-agency collaboration, and self-determination and self-advocacy within youth ages 18-22. Tonya Cooper, M.Ed., is an instructor in the Department of Teaching and Learning. A Double Eagle, Cooper earned both her undergraduate (B.S.Ed. early childhood education) and graduate (M.Ed. special education) degrees from Georgia Southern. Cooper worked as a special education teacher in area schools for 20 years prior to joining the University. Cooper’s interests include collaboration between schools and parents of children with disabilities as well as early intervention programs. Kristen Dickens, Ph.D., is an assistant professor of counselor education in the Department of Leadership, Technology, and Human Development. She previously served as a visiting assistant professor in the counselor education program at the University of New Orleans where she also earned her doctorate. Her current research interests include multiple roles and relationships in counselor education, ethics and value conflicts, multicultural issues in counseling, and family systems work. Dickens has experience working in a variety of community mental health settings, including intensive outpatient facilities, university outpatient centers, inpatient treatment centers for eating disorders, and in-home counseling services. Lacey Huffling, Ph.D., is an assistant professor of middle grades and secondary education in the Department of Teaching and Learning. She earned her doctorate in educational studies from the University of North Carolina (UNC) at Greensboro. Huffling taught at UNC Greensboro and Elon University prior to joining Georgia Southern. Her research interests focus on science education. Heather Huling, M.Ed. is an instructor in the Department of Teaching and Learning. A Double Eagle, Huling earned both her undergraduate (B.S.Ed. early childhood education) and graduate (M.Ed. early childhood education) degrees from Georgia Southern. Prior to joining the COE faculty, Huling taught 3rd grade math and science at Sallie Zetterower Elementary School as well as served as a 2nd grade educator at Richmond Hill Elementary School. Toby Jenkins-Henry, Ph.D., is an assistant professor and higher education tier I coordinator in the Department of Leadership, Technology, and Human Development. Jenkins-Henry taught interdisciplinary studies and educational administration at George Mason University for four years before serving as a visiting instructor of ethnic studies at the University of Hawaii. She also served as the director of the Paul Robeson Cultural Center at Penn State University where she earned her doctorate in educational theory and policy. Lucas Jensen, Ph.D., is an assistant professor in the Department of Leadership, Technology, and Human Development. Prior to coming to Georgia Southern, Jensen directed summer camp programs and served as a teaching assistant at the University of Georgia. He also taught music courses for the Double Helix STEAM Academy in Athens as well as served as an adjunct professor of visual literacy at James Madison University. Jensen earned his doctorate in learning, design, and technology from the University of Georgia. Juliann Sergi McBrayer, Ed.D., is an assistant professor and P-12 M.Ed. coordinator in the Department of Leadership, Technology, and Human Development. McBrayer earned a doctorate in education administration from Georgia Southern University. Her prior experience in the education field includes having served as a director for the Georgia Charter Schools Association (GCSA) as well as several years of teaching experience within the areas of science and technology. R. Ansley Rogers, Ed.D., is an instructor in the Department of Curriculum, Foundations, and Reading. Rogers is re-joining the COE, as she previously served as an adjunct faculty member of reading education courses from 2006-2010. Before returning to Georgia Southern, Rogers taught at Brewton Parker College and Taylors Creek Elementary. She recently completed her doctorate in curriculum studies from Georgia Southern.